Following publication of this issue of “The Columbian,” the college newspaper will suspend production indefinitely after this semester. “The Columbian,” which celebrated its 30th anniversary in 2009, has suffered declining enrollment in recent years. As a result, the Newspaper Production course has been canceled for the spring semester, closing the door on further publication. College administration cited enrollment trends as a primary factor behind the paper’s suspension. “There was not a critical mass of students who were willing to do the work involved in taking the course and producing the paper,” said Dr. Terry Smith, executive vice president and dean for Academic Affairs. Several students who served as reporters and editors for “The Columbian” also believe declining student interest was a factor in the paper’s demise. Mandy Noel, a senior and former reporter and editor for The Columbian, said lack of interest could be attributed to the general decline in newspaper readership globally. Noel also said that students lack an incentive to participate on “The Columbian” because the course is not connected with a degree program. “Most students are not going to deviate from their degree tracks to put the time in that it takes to serve on a student newspaper,” she said. Smith said students are probably right when they suggest that connecting the journalism course and The Columbian to a degree program might improve enrollment. “However, no academic department stepped up to do this because it would have been a stretch to attach it to an existing program,” Smith said. Despite its long history of journalism instruction, the college cannot compete with the University of Missouri’s School of Journalism, said Caitlin Jenkins Campbell, a 2010 alumna and former reporter and editor for “The Columbian.” “I feel that those who are most interested in journalism will flock to MU because of the program’s reputation,” said Campbell. College administration considered several alternatives to continue production of “The Columbian.” Smith said it would not be feasible to shift “The Columbian” to a student-run club because of lack of oversight and professionalism. He also said producing the paper through the Public Relations Department is not workable because of duplication in publications as well as lack of student ownership. He said that operating “The Columbian” in conjunction with a course is the only way the paper would work at Columbia College. Smith said the Newspaper Production course was strong because it provided a rigorous academic experience and instruction with high academic and professional standards. “A college paper is a valuable source of student news, opinion and creativity – if students want and support it,” Smith said. Noel said that college newspapers are a resource that allows students to express issues that are of importance to them. They provide a mechanism for faculty and staff to relate to students and to address students’ concerns, she said. Tiffani Guese, former reporter and 2010 alumna, said college newspapers are important because they provide students with information about local happenings and “keep them engaged in something besides classes.” She said they help students connect with the larger world around them. Although her two years as reporter and editor of “The Columbian” did not contribute directly to her degree, Noel said the experience of serving on the paper paid off for her. “Not only do you gain valuable writing skills, but also interviewing, designing and time management skills,” Noel said. “Putting a paper together takes a lot of time and effort and can be very stressful, but being the microphone for your student body and getting your work published as an undergrad is a phenomenal feeling.” She said the skills she gained with “The Columbian” have given her an edge above the competition in employment. She uses her writing and designing skills for publications at her internship with Big Muddy National Fish and Wildlife Refuge. Campbell said she appreciated her time on “The Columbian” because of the friendships she made and the power she had to write about interesting topics. “I was able to use the title of ‘journalist’ to gain access and trust of those in the community,” she said. Historical research conducted by Mandy Noel contributed to this story. According to Angie Myers, coordinator of records management, 406 graduating students will participate in December commencement, including 43 Day Campus students, 129 Evening Campus students, 92 Online Campus students and 142 students from the Nationwide campuses. Students representing the Nationwide Campuses will arrive from four states: Georgia, Illinois, Missouri and Texas. Graduating seniors are getting prepared for the event. Anton Lukyanov said he is looking forward to the ceremony and is ready to graduate. “I got OPT (Optional Practical Training), and I want to get a full-time job with good pay,” he said. After degree candidates enter the Southwell Complex, Nollie Moore, instructor of music and director of the Jane Froman Singers, will sing the National Anthem. Next, President Gerald Brouder will introduce the commencement speaker. After the commencement address, students will file across the stage to receive their diplomas. Students will be recognized on stage by their name and major. According to Kelly Sharp, assistant director of Evaluations, students’ minors are not announced, but students’ distinctions can be. For example, if students attended the honors program or earned teacher certification, these will be announced. Students who earn a baccalaureate degree with honors should have at least 60 hours in residence at Columbia College with a G.P.A. of 3.50 or higher. 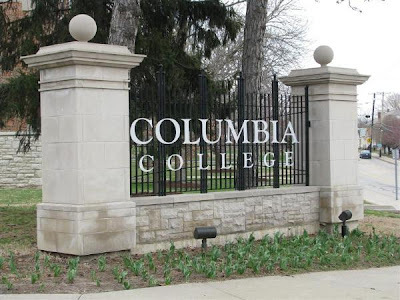 The President’s Award is a special honor given to students who have completed all their coursework at Columbia College and have earned a 4.0 G.P.A. Graduates of the nursing program also will participate in the pinning ceremony at 10 a.m. in Launer Auditorium. The ceremony is a symbolic event at the college. After the commencement ceremony, locations are available in the Student Commons for photographs. The bookstore and the Cougar Café also will be open that day. For more information about the commencement ceremony, call Sharp in the Evaluations Department at (800) 231-2391. “Bullying is the most common form of violence in our society; between 15 and 30 percent of students are bullies or victims,” according to the National Association of School Psychologists. According to The Trevor Project, “Suicide is the second leading cause of death on college campuses,” (CDC, 2008). The results of bullying can be fatal. The NASP defines a bully as "someone who directs physical, verbal or psychological aggression or harassment toward others, with the goal of gaining power over or dominating another individual.” A prime example was reported in The New York Times: Tyler Clementi, an 18-year-old freshman at Rutgers University, “jumped from the George Washington Bridge into the Hudson River in an apparent suicide.” Clementi ended his life after being cyberbullied for his sexual orientation. The New York Times also reported that a 15-year-old girl took her life after being bullied by other high school students. “Bullying is often a factor in school related deaths,” said the NASP. ﻿﻿﻿﻿Some students at Columbia College have experienced bullying first hand. Austin Miller, a senior math major and psychology minor, says he has been bullied. In high school, Miller said he was bullied for his sexual orientation and mannerisms. Since graduating from high school, Miller said he hasn’t noticed as much bullying. While observing high schools, Miller said he has noticed more bullying, with body image as the main subject. There are ways to prevent bullying in schools. 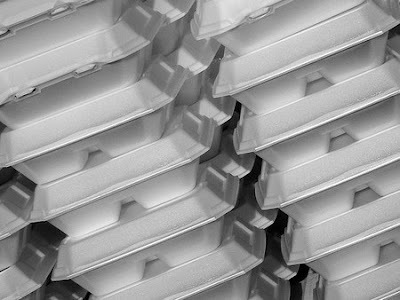 The NASP says that policies of zero tolerance (severe consequences for any behavior defined as dangerous, such as bullying or carrying a weapon) rely on exclusionary measures (suspension and expulsion) that have negative effects.” Instead, school-wide prevention programs that promote a positive school and community climate would work best, the NASP said. These programs would require participation and commitment by everyone, they said. 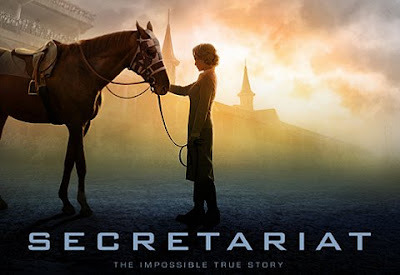 "Secretariat" is a heart-warming, family friendly movie starring Diane Lane, John Malkovich and Dylan Walsh. This true story about Penny Chenery and her horse, Secretariat, takes place in 1973. Chenery (played by Lane) faces many obstacles. The movie begins as Chenery, a housewife, deals with the death of her mother. In the process, she finds out her parents’ horse farm is failing and they might lose it. Cheney’s goal is to revive her father’s business by raising and training a horse named Secretariat to win the Triple Crown. Though the odds are against Chenery and her horse, they keep on trying. The time period of the film reflects a male-dominated world, so everyone is astonished when Chenery steps away from her housewife role. With her determination and will to win, she beats the odds and proves everyone wrong. “Secretariat” was filmed in Kentucky and Louisiana in locations with great scenery. Filming in the home of horse racing added to the quality of the film and made it more realistic. The cinematography of the movie was amazing. The close shots on the track make it seem like you are right there with the horses. The three strongest performances were those of Lane, Malkovich and Margo Martindale. Lane was able to get into character and portray a ‘70s housewife. In her films, Lane is always able to display believable emotions. Her costuming was perfect for the time period. Hair and makeup were well done and realistic. Malkovich, who played Lucien Laurin Cheney’s horse trainer, was outstanding in his performance. He was the comedian in the movie and added humor to the tense scenes. Malkovich had a unique wardrobe to go with his humor. Martindale, as Miss Ham, did a great job as a supporting actor. She was Chenery’s friend and sidekick. Martindale kept Malkovich’s character on his toes and kept up with his sarcastic humor. "Secretariat" is a movie that will tug at your heart strings and keep you at the edge of your seat. It gets an A.